Hey everybody! 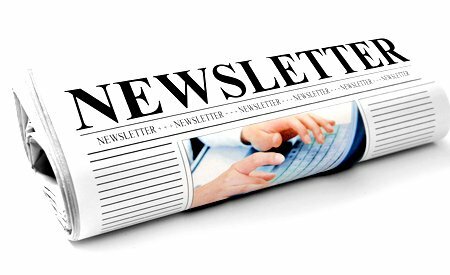 We have had newsletter sign ups for awhile but never used it until now. Sent the first out today just warning everyone on the list that we will be sending them out now and giving everyone a chance to unsubscribe, although we hope you don’t. In fact we hope if you haven’t signed up yet that you will. Here are some of the benefits of subscribing. Specials and Sales, Occasionally we will put a category of products, or even the whole site, on sale. In the past I have done that with no notification except a banner at the top of the site. So now I may occasionally send out a quick email letting you know a sale is happening! We do from time to time also have a give away for a particular product where we ask you to Facebook, tweet or share another way to enter and we of course also would like you to know about those. Monthly Giveaway, We will be also having a monthly give away (starting May 1st) for a $20 coupon good towards anything on the site. This is only for subscribers of our newsletter and you don’t have to do anything but be on the list to enter. Once a month we will draw a random subscriber and send them the coupon. Thats it! Previous post: New Server, Faster and More Secure! Next post: New Shipping Choices! Holiday Schedule and Gift Certificates.